Microsoft announces their press conference date for E3 2019, it will be livestreamed on variety of streaming platforms. 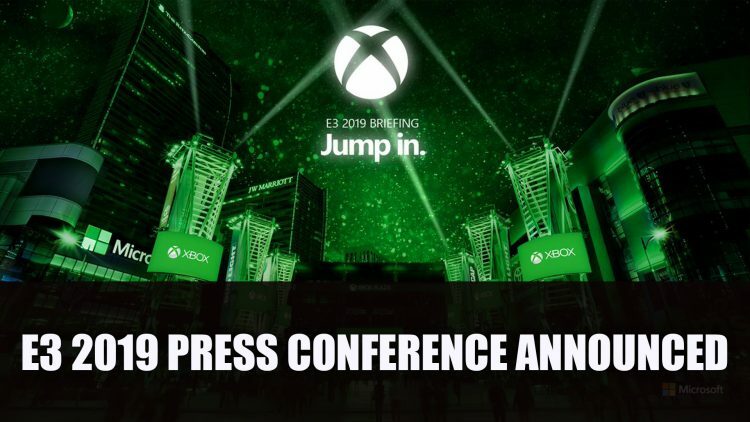 Microsoft has confirmed they will be attending E3 2019 setting their press conference for June 9th at 1:00 p.m. PT / 4:00 p.m. ET. You will be able to tune in on a number of different streaming sites including Youtube, Twitch, Mixer, Twitter and Facebook. On June 10th Microsoft will have their “Inside Xbox: Live at E3” which will have “exclusive announcements, game demos, interviews, giveaways, and more.” according to their website. With Sony opting out of this year’s E3 2019, other publishers and developers have slowly been adding to the list of confirmed attendance which includes CD Projekt Red, Ubisoft and Bethesda. You can catch the live stream for Microsoft at E3 2019 on June 9th. E3 2019 exhibition days will be taking place from June 11th to June 13th. If you want more E3 news be sure to read next Ubisoft Announces Dates For Their E3 2019 Press Conference and Cyberpunk 2077 Developer CD Projekt Red Announces E3 2019 Will Be Their Most Important One Yet. As well as Sony Opts Out Of E3 2019.